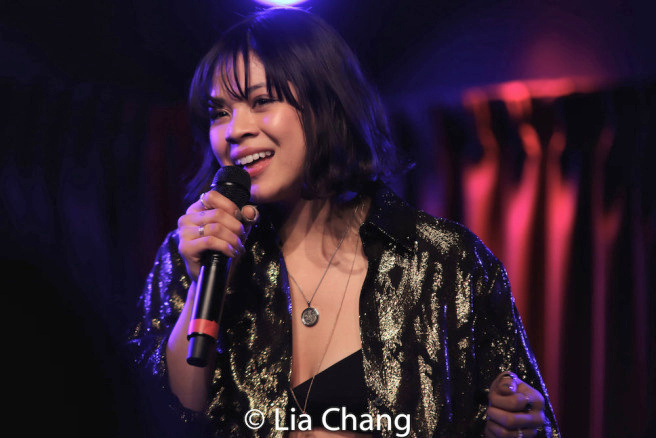 In her new show, Ballad of a Broadway Twenty-Something, Eva Noblezada gives us a glimpse into the wild ride she’s been on since being cast (in her teens and still in high school) in Cameron Mackintosh’s epic remounting of Miss Saigon in London. She went on to receive a Tony nomination for the role on Broadway at age 21. Currently back on Broadway in Hadestown, she has set up shop at The Green Room 42 on some of her nights off. With exciting, expert accompaniment by music director Rodney Bush, she has gathered songs from far and wide to showcase her expressive, at times electrifying, voice. She reveals an innocent, open-hearted enthusiasm in everything she sings, and while at times I might have wished for a bit more control to temper that enthusiasm, it’s hard not to give in to the onslaught of talent. 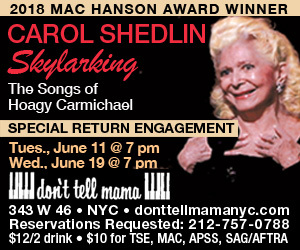 She has hilarious stories to tell between songs, and a few heartwarming ones as well. When she does give in vocally to the current addiction to screeching melisma, she retains the joy in performing that actually makes her excesses more palatable than most. Also, she manages for the most part to maintain her personal storytelling rather than lose it in the riffing. There is a flip side to her young years. She is new to the cabaret stage and hasn’t mastered the intimacy of the medium. She drops so many “F-bombs” that a most unappealing crassness creeps into the spoken parts of the show. It’s almost as though she had the childish notion that using questionable language were somehow more sophisticated. It is not. There are songs here that she has learned but doesn’t really know. She introduces “The Girl from Ipanema” (Antônio Carlos Jobim, Vinicius de Moraes, Norman Gimbel) as “an Amy Winehouse song.” Winehouse, one of the singer’s idols, sang this song with a wink and a nod, especially with the line “…each one she passes goes ahhhh,” on which she scatted the sigh into a witty musical moment. 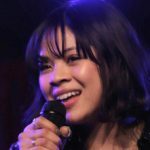 Noblezada sings Winehouse’s little joke without a sense of humor, as if it were the way the song was written. She throws away the wonderful lyrics of Bart Howard’s “Fly Me to the Moon” in favor of an uninspired swing arrangement all about notes rather than words. How wonderful it would be if she committed to the honesty, storytelling, and youthful energy with which she invests the theatre and pop songs elsewhere in the show and made the song her own.